Our Immi the Vegan PledgeMe crowdfunding campaign went live 10 days ago. 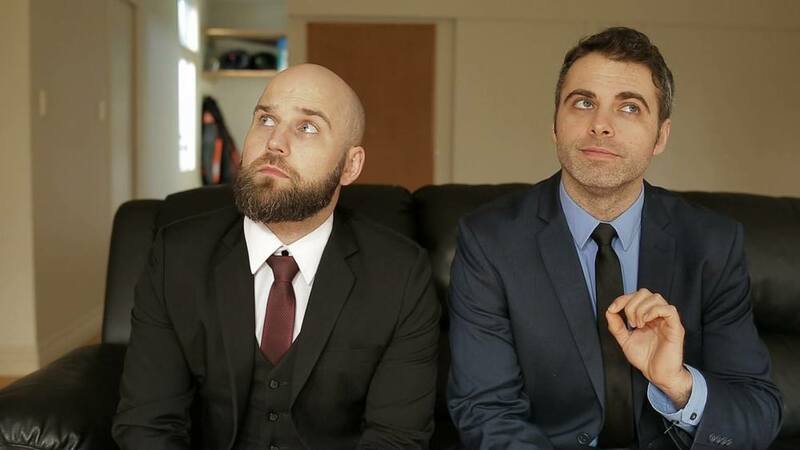 Our aim is to raise $6000 during November, which will be enough to shoot another 5 episodes, giving us a first season of six episodes. See the pilot here! We need all the support we can get, so please make a pledge! If you’re within New Zealand there are heaps of very awesome rewards from a bunch of very generous sponsors. For those overseas, there are still some options to receive some Immi the Vegan love. Check out the PledgeMe page. 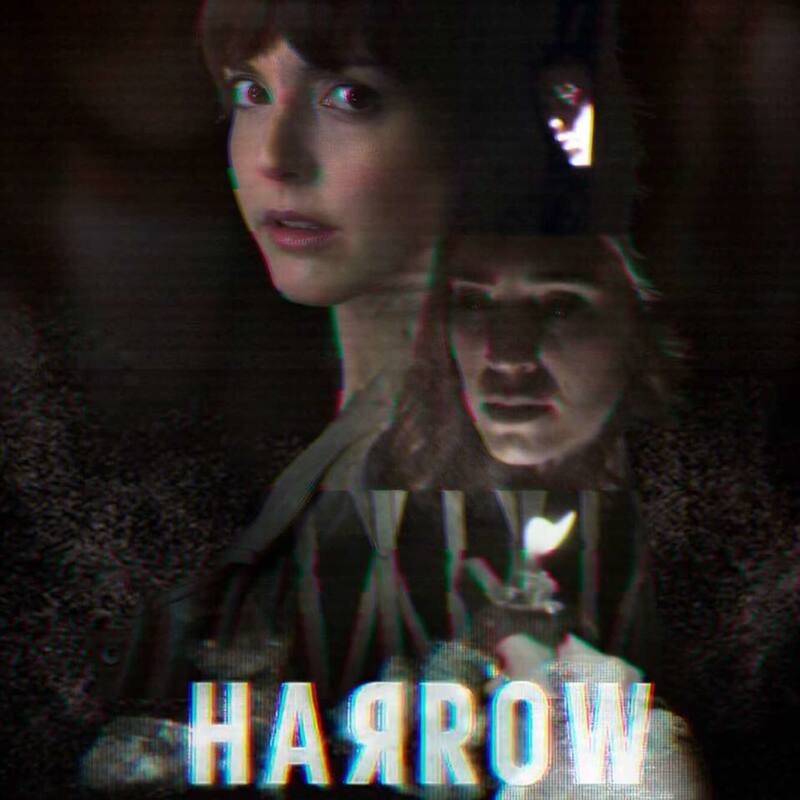 HARROW was released on Watch Me on October 31st. It’s a slightly comical found-footage horror mini-series, set in New Zealand. I had the pleasure of co-writing this. (And by “pleasure” I mean a lot of late nights, and a lot of rewrites…) Watch it here! 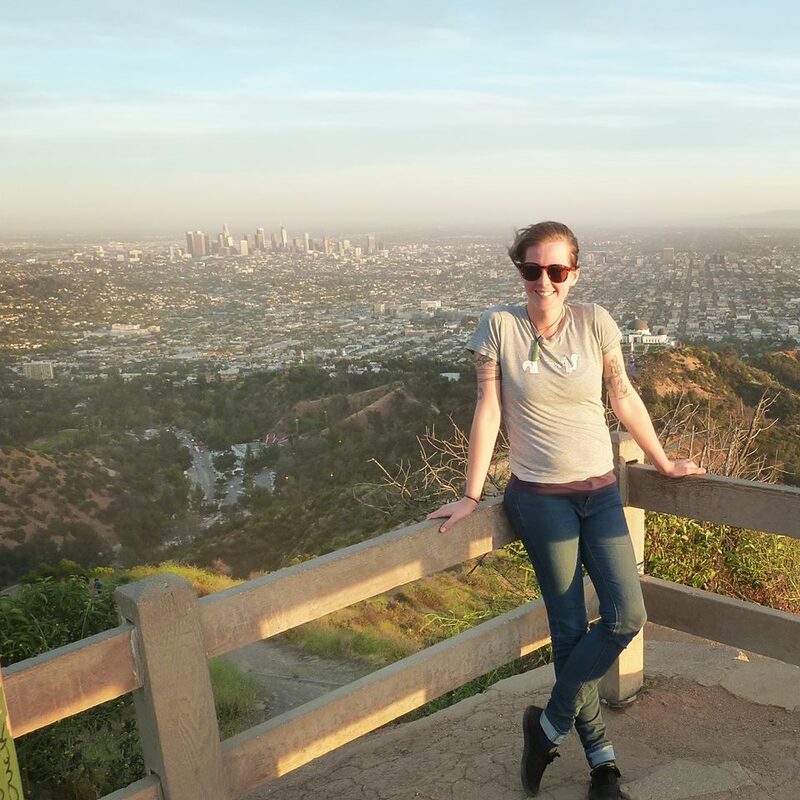 Last time I blogged, I’d just spent 10 days in LA researching my novel. Since that time I’ve been incredibly busy. But instead of hunkering down during the cold winter months and working assiduously on the novel itself, I busied myself with entirely different projects… it’s weird how procrastination works. James Summerfield, a UK-based muso and Americana-meister, asked me to sing on one of his tracks. I agreed of course, and was pleasantly surprised when he actually sent me four tracks to sing on. It was my first experience of making music with someone I’d never actually met. Here’s a little sample of the songs on the album. You can pre-order it here. The female vocalist – yup, that’s me. But then, suddenly, I felt like trying it. And with the help of Pigville Productions I created the pilot episode of a weird little comedy called ‘Immi the Vegan’. More Immi the Vegan to come soon! Most of my writing time has been spent co-writing a found-footage horror web series, along with writer Guy Pigden. It’s been a very different experience for me, writing with someone else, and also writing to commission – with very clear outlines given by the producers. The most important thing I’ve learned so far is to not write too much before showing it to the production company – because in all likelihood you’ll have to scrap the whole damn and start again. The shoot for this show is in October, and I’ll post about it then! 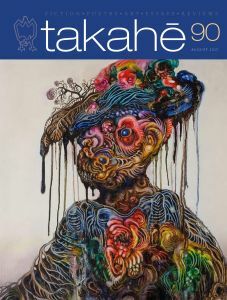 But in other writing news, three of my poems were published in the latest edition of takahe magazine, and can be read here. The first poem, in particular, is very special to me. I’ve just come home after a 10 day spell in Los Angeles. 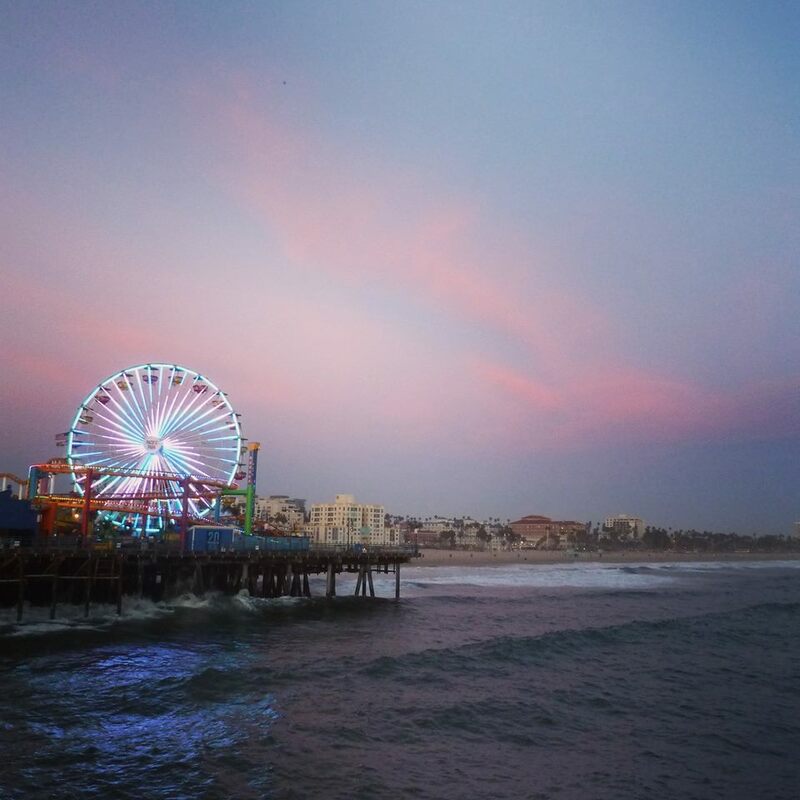 I’ve been quietly working at a novel for the past eight months, and nearly half of the story is set in LA. 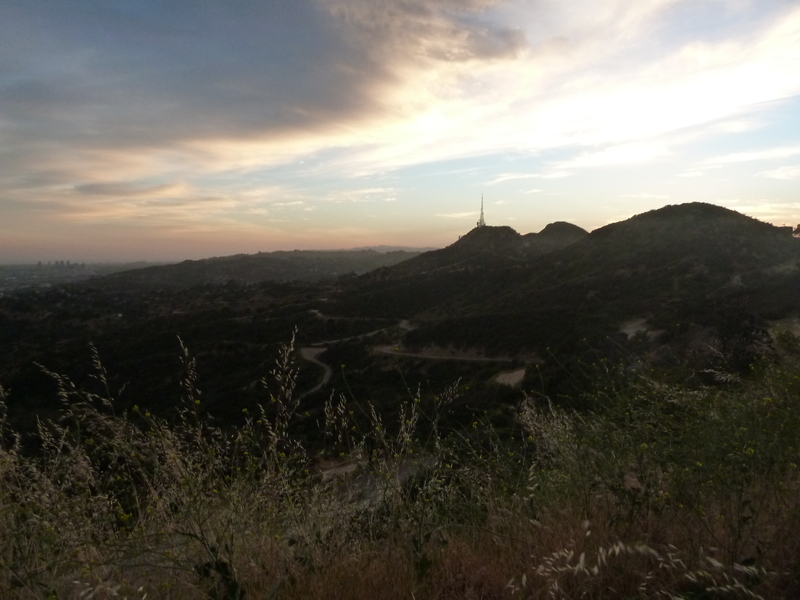 I’d been to LA before (briefly, 2010) and had some idea of where I wanted the scenes to be set. Google Maps came into play a fair bit. Still, I figured it was probably worth going over and actually checking firsthand the places where I planned to set the scenes. Wow, and aren’t I glad that I did? 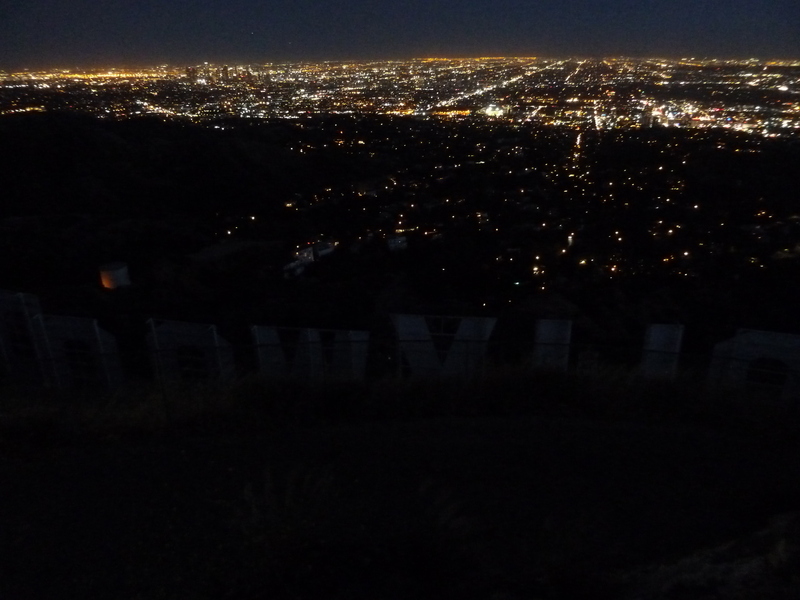 Looking out over LA from the Observatory Trail’s peak. About half way – walking to the sign. The sign, from behind, at night. I also learned that the ocean’s water is very cold indeed, that it takes a good hour to get anywhere on the bus, and that I’ll no doubt have to take another trip to LA because in ten days I barely scratched the surface. All in all, though, a very successful journey. Locations chosen. Photos snapped. Notes jotted. Just a short post to promote my latest article, published today at Pantograph Punch. I particularly enjoyed writing this, as all my interviewees were generously open about all aspects of what they do, and were also very excited about their different projects (which made me excited). I felt so inspired, in fact, that I’ve begun working on a webseries of my own – more on this to come! Michel Faber’s The Book of Strange New Things is about Peter and Bea, husband and wife, separated by billions of miles of space. It’s a beautiful story that left me thinking deeply about it long after I read it. Although the plot is straight-forward and the prose itself satisfyingly plain, Faber managed to fit in so many different themes – miscommunication on a monumental scale, biological inequalities, faith, the end of the Earth, hope. And loss. At the start, in fact, during the opening chapter, all I felt was loss – poignant, yet uncomplicated. But as the story unfolds the emotions become increasingly confused, a whirlwind of frustrated feelings, and all the while each chapter heading tells in advance the last sentence of that chapter, so I felt as if I was being propelled forwards towards some horrific, yet unavoidable conclusion. Peter is a missionary who has been sent to Oasis, a geographically dull yet habitable planet that a multinational corporation (USIC) has been developing. Bea was not invited by USIC to join Peter in his mission. Their separation is a shock to them both, as they’ve barely ever spent time apart since they first met. They are devout Christians however, and trust that since they are doing His work nothing could go terribly wrong. Oasis’s local inhabitants (the ‘Oasans’ as Peter calls them) trade food for medical supplies. They had already learned of Jesus Christ from a former missionary, and are extremely eager to hear more. Peter’s work with them is easy – stupidly so. The Oasans are a peaceful folk (dressed in full body cloaks, gloves and boots), and their thirst for Christ is a pastor’s dream. Although the USIC base is within driving distance of the Oasan settlement, Peter chooses to spend two weeks about (Earth time) at both the Oasan settlement and the base. He would sooner not travel back to the base at all if the apparatus with which to contact Bea was not back with his human colleagues. 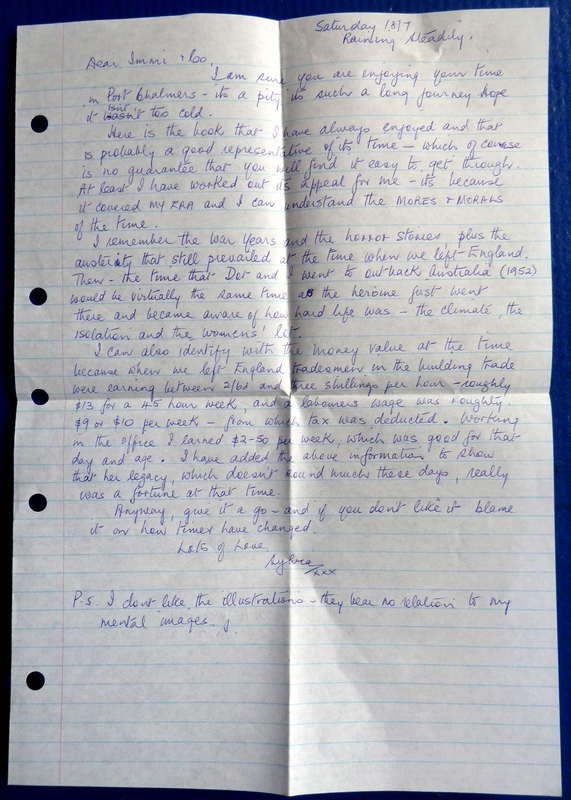 The story is told through Peter’s eyes and experiences, but through Bea’s letters to him we see snapshots of what is going on in their life back home. Snapshots. Pools of electric light in the darkness. Windows. Car headlights illuminating a thin band. The imagery throughout the book creates the feeling of being utterly confined by our own meagre viewpoint of the world. We come to conclusions without knowing the full story. We only ever see part of the picture, and only ever from our own perspective. At the start it just seems a shame that USIC didn’t allow Bea to come along, but as the story progresses it begins to seem like a terrible mistake. His time alone with the Oasans beings to change Peter. Firstly, he’s terrible at looking after himself (Bea is a nurse, she’s the practical one) and allows himself to become underfed, dehydrated, exposed to the sun, which leads to unclear thinking. But it’s not just that. He doesn’t fit in at the base. He’s a pastor so his world revolves around philosophy, thought, the human struggle. USIC has chosen particularly unimaginative scientists and engineers, fit to survive a bland alien landscape far from home. They don’t question why they continue to follow Earth time when Oasis has a perfectly good sun to set time by; they aren’t disturbed by the sterility of their environment, the constant air conditioning to mimic Earth’s atmosphere. Peter becomes further and further alienated from the humans, drawn to the Oasans who live naturally from the land, who desire to think and learn. Only one other at the base stands out from the rest – Granger, but she has problems of her own. As Peter becomes lost within his work in this whole new world, his life and Bea’s drift apart. Experiences are unshared; vital details from Peter’s day are not recorded for Bea, who is desperate for any news she can get. But mostly, Peter doesn’t hear what Bea is saying. Things are falling apart rapidly for her. She faces struggle after struggle, and Peter seems hopelessly incapable of truly realising how badly his wife is suffering (or how quickly things are deteriorating back on Earth), so certain is he that his mission had been sanctioned by God, so stuck is he within the path they’d chosen. Their tightly knit whole begins to break apart into separate pieces because he’s unable to properly communicate with his wife or see things for what they truly are. And if Peter is unable to properly communicate with Bea, his love, the person who knows him best in the world, what hope does he have with an alien species? Oasis is mostly just dirt and ground-hugging plants. It’s devoid of trees, rocks, mountains, crags, branches (sharp things barely occur naturally). The Oasans have evolved into biological beings quite different from humans. Their facial expressions, their tones of voice – unrecognisable. Their history, unknown. Their symbolism (if they have any) entirely different. How can he know if the word he is using means the same thing to both species? A word like ‘pain’, for instance, has layers of complexity. And if ‘pain’ is difficult to explain, what about the Bible passages? Why do the Oasans sing Amazing Grace, when they appear to live sinless lives? What does it mean to them? When an Oasan hears Peter crying, she mistakes it for a song. It’s a sad story. I found myself guessing all the way through (“the Oasans don’t like sharp things because they are unnaturally occurring shapes”, “they are hiding something under their long cloaks”, “they are using the USIC medication for nefarious ends”, “they have killed the old pastor”). Maybe it’s because I’m human that I think that way, or that being human allows me to think that way. The truth is that those peaceful folk who sing sweetly to their Lord are afflicted by a biological disadvantage that Peter could not have fathomed. They simply wanted to be able to self-heal like they’ve seen humans do. Even the smallest injury to their body causes them to rot, and die. They weren’t seeking eternal life after death – the abstract concept probably didn’t register with them at all – but probably presumed that this miraculous gift had been bestowed to believers by God. And this realisation – when it hits Peter – the unfairness of it (if God loves every creature equally..? ), and the hopelessness of his cause, shakes him like nothing ever has. Too late, it feels, Peter decides to travel back home, to find Bea, wherever she is in a world gone swiftly to ruin. It ends with him waiting to leave, and you can only presume that USIC will let him. But who knows? Everything is left up in the air. Left to hope. Peter’s hope that he’ll find Bea. The Oasan’s hope that the ‘Technique of Jesus’ will help their people live longer; my own hope that science eventually will. 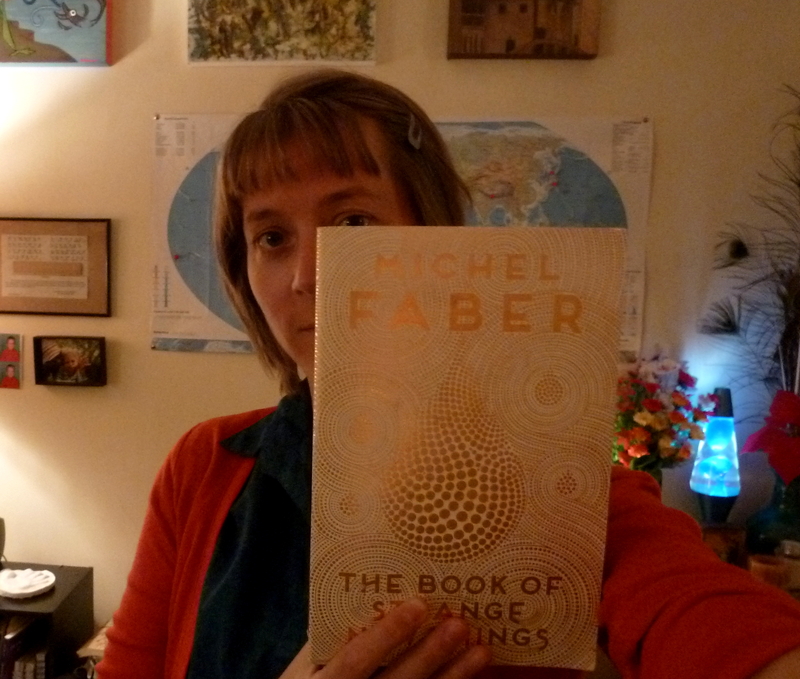 I knew before I started reading The Book of Strange Things that Faber had written it while his wife was dying, and so, maybe because of that, the beautiful story felt like a very long song. A Town Like Alice by Nevil Shute is another classic book that is difficult (and possibly pointless) to review. But I’ve just read it for the first time, and it’s worth a review in any case. My grandmother sent me the book a couple of years ago, and every time she’s seen me since she’s asked, “have you read it yet?” And so yes, Sylvia, yes I have! In her eagerness for me tor me to read it, my grandmother actually sent me two copies of the book. 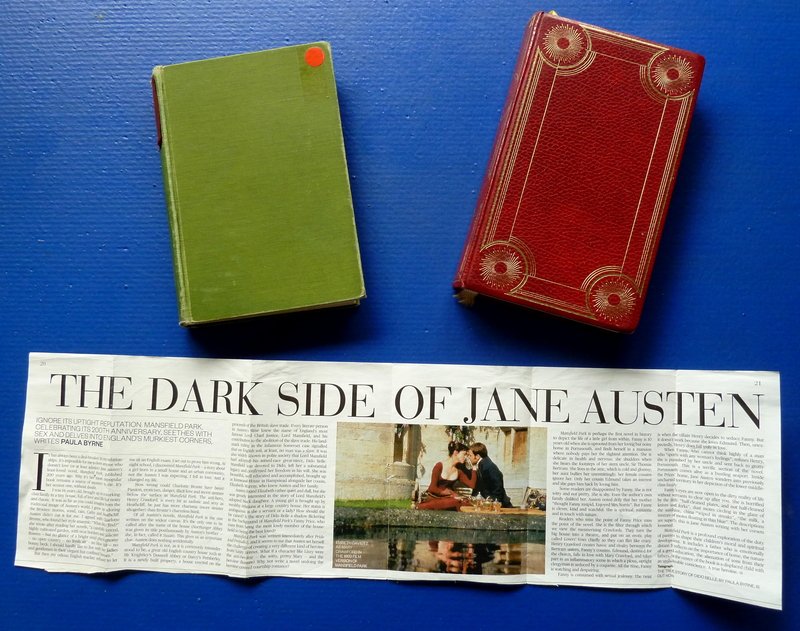 With one of them she included this article about Jane Austen – not sure what the relation was. It was first published in 1950, and is set in that post-war period. It has an old-fashioned tone, narrated by a lawyer named Mr Strachan, an old man and widower who appears to have plenty of time on his hands. His story describes the life of his client, a Miss Jean Paget, between the years of her twenties until her early thirties. It begins with probably the longest flashback I’ve ever come across in a book, as he recounts what occurred to her while she was a prisoner of war in the ‘East’. She and a band of women and children were forced to walk hundreds of miles across Malaysia in search of a prison camp. Each Japanese commander they came across, too busy to really care, turned them away. It was during this time that she witnessed something truly horrific, which changed her life. From Malaysia, to England, to the outback of Australia – this is a love story at its heart. Good things can come from horror, or at least this book would have you think. Good things also come to people who have plenty of money. I’m not sure if that was supposed to be the message, but it rang loud and clear all the same. Miss Paget had dough, and with it she eventually got everything she ever really wanted (nice eh?). The vastly different terrains covered in this book are interesting to read about from a geographic point of view at the very least. When in Malaysia, I could feel the sticky heat, hear the insects, smell the decay. In the Outback (in which the second half of the book is set – ‘Alice’ is in reference to Alice Springs) I could see the men and their horses outside the old wooden hotel, taste the cold beer, feel the baking sun. The fact it was written about seventy years ago does mean there were times I squirmed a bit as people of different ethnicities were described (basically anyone not white). It’s also quietly sexist – again, a product of its time. Despite this, it’s an easy read and reasonably enjoyable. I didn’t feel there was anything ground-breaking about it – I wasn’t at any point blown away by what I read – but it’s a solid story. Like many older English books it’s all very proper and restrained. By the end I quite liked the narrator, Mr Strachan, and felt a little touched and saddened by the fact he felt he had to write it all down. My grandmother included this letter with the other copy she sent. Here is a book that I have always enjoyed and is probably a good representative of its time – which of course is no guarantee that you will find it easy to get through. At least I have worked out its appeal for me – it’s because it covered my ERA and I can understand the MORES & MORALS of the time. I remember the war years and the horror stories, plus the austerity that still prevailed at the time when we left England. Then – the time that Dot and I went to outback Australia (1952) would be virtually the same time as the heroine first went there and became aware of how hard life was – the climate, the isolation and the womens’ lot. I can also identify with the money value at the time because when we left England tradesmen in the building trade were earning between 2/6d and three shillings per hour – roughly $13 for a 45 hour week, and a labourers wage was roughly $9 or $10 per week – from which tax was deducted. Working in the office I earned $2-50 per week, which was good for that day and age. I have added the above information to show that her legacy, which doesn’t sound much these days, really was a fortune at that time. Anyway, give it a go – and if you don’t like it blame it on how times have changed. I thought it would be a good idea to put one of my favourite stories up on-line. In a world full of birds was the first thing I wrote after finishing my Masters in Creative Writing at the end of 2012. 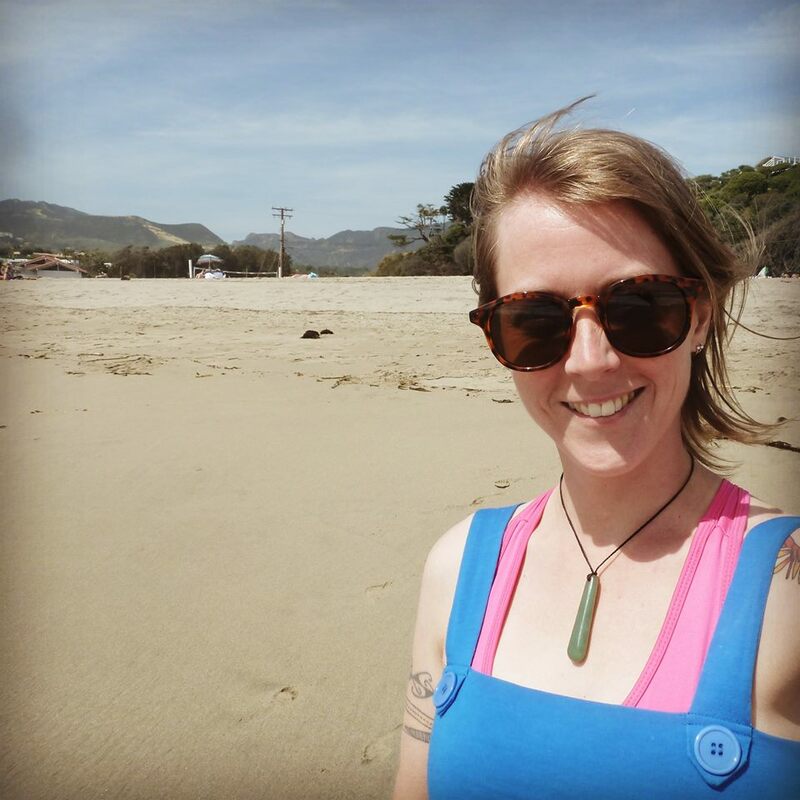 Around that time Random Static (a small Wellington speculative fiction press) were doing a call-out for stories for their newest anthology, Regeneration. I submitted the story, and was thrilled to have it accepted (here’s a link to the publication). After that, it went on to be short-listed for the Sir Julius Vogel’s Best Novella of 2013 award, and it came first place in the Au Contraire short story competition, which ran alongside that year’s national sci fi/fantasy convention. All in all, I was very happy with how it got on, and I feel it’s time to share it in its entirety.